Perhaps one of the best-known trees of Tennessee, this beech famously features Daniel Boone’s carving: “D. Boon cilled a bar in year 1760”. 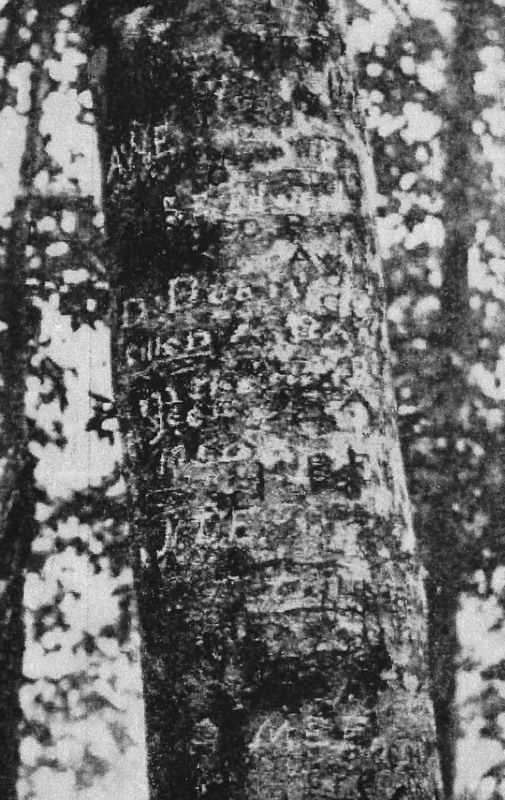 The tree stood on a knoll east of the campsite of the first white settler in Tennessee, William Bean, and was also used as a hunting camp by Boone. The Washington County Historical Society held its first meeting at the famous tree and erected a platform. The tree, mentioned in Theodore Roosevelt’s book The Winning of the West, fell in a windstorm in 1907.